Russian ski cross racer Maria Komissarova has undergone successful surgery on her back after being seriously injured during training on Saturday, according to officials. The 23 year old suffered an injury during training on Saturday at the PSX Olympic ski cross venue at Rosa Khutor Extreme Park, said the Russian Freestyle Federation in a statement earlier in the day. She was taken to Krasnaya Polyana Hospital where the doctors “took the decision to operate on her on the spot." The injury was a fracture of the spine with a dislocation said team head of press Mikhail Verzhba as cited by R-Sport, adding that the surgery was a success and lasted six and a half hours. Komissarova’s condition is very serious, but stable, the federation said, adding that the athlete might need another surgery. The athlete will not take part in the rest of the Games, according to the federation’s statement. The head of the freestyle team Natalia Corona earlier explained how the athlete got the injury. The ski cross course at Extreme Park is a medium-pitch 1,200 meter slope with cambered turns, gap jumps, drops and flat sections. "Ski cross is a sport with a certain risk, you will never be able to exclude any kind of risk," said IOC President Thomas Bach earlier on Saturday. "We feel very sorry for the athlete. We are in contact with the hospital. What we know is that she is under surgery right now. We hope that the operation will be successful and that she will be back." Bach said he believed the accident had nothing to do with the infrastructure of the Olympic park. 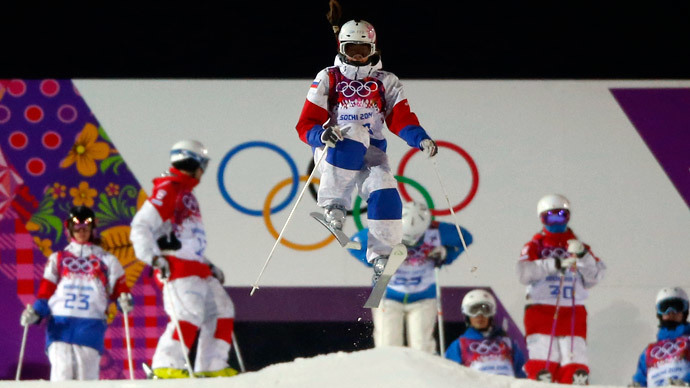 The women's ski cross competition will be held on February 21, and due to the incident the Russian team will be presented by Anastasia Chirtsova and Julia Livinskaya.